The Clawson Honda of Fresno finance department is focused on ensuring your experience with our dealership exceeds your highest expectations. Keep the stress out of car-buying and -leasing by choosing our Honda dealership in Fresno, CA. We have a knowledgeable staff full of dedicated professionals on site who will work tirelessly until you’re completely comfortable with your payment plan. Whether that means setting up a loan for financing or locking down a specific Honda lease option, we’re ready to put in the necessary work to ensure you drive home happy! A wide range of Honda finance specials are available when you come for a visit. From new vehicle specials to discounts on parts to various service specials, we have all sorts of ways to help you save. Our customers are the top priority at Clawson Honda of Fresno, and we’re excited to prove it to you. Spend some time at our dealership talking with our finance team. We’ll help you learn all about your Honda financing or leasing options, and we’ll make sure you choose the course of action that makes the most sense for you. 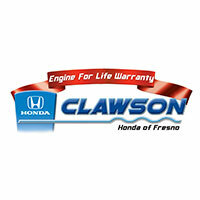 The Clawson Honda of Fresno loan process can help you find the best interest rate for your next vehicle purchase. Are you new to this country? Have you been turned down before? We can help. We have programs to help you get into a car and rebuild your credit. We can help. Our Credit Doctor specializes in bad credit auto loans, and will assist in finding you an affordable auto loan for the new Honda or used car you’ve been eying. Once the application is completed, the Clawson Honda Credit Doctors will put together a loan package that is tailored specifically for you.